Download and run the 64-bit or 32-bit Windows installer. Requires Python 2.6.5 or higher. The AWS CLI comes pre-installed on Amazon Linux AMI. Check out the Release Notes for more information on the latest version. aws-shell is a command-line shell program that provides convenience and productivity features to help both new and advanced users of the AWS Command Line Interface. Key features include the following. To find out more, check out the related blog post on the AWS Command Line Interface blog. 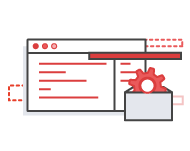 The AWS Command Line Interface User Guide walks you through installing and configuring the tool. After that, you can begin making calls to your AWS services from the command line. $ aws sns publish --topic-arn arn:aws:sns:us-east-1:546419318123:OperationsError --message "Script Failure"
and the parameters for a service operation. 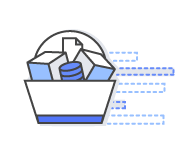 New file commands make it easy to manage your Amazon S3 objects. Using familiar syntax, you can view the contents of your S3 buckets in a directory-based listing. You can perform recursive uploads and downloads of multiple files in a single folder-level command. The AWS CLI will run these transfers in parallel for increased performance. A sync command makes it easy to synchronize the contents of a local folder with a copy in an S3 bucket. See the AWS CLI command reference for the full list of supported services.